Today, the San Francisco Municipal Transportation Agency announced plans to close both sides of Patricia's Green for vehicles from June 1st to 17th. The street will remain open to pedestrians and bicyclists. 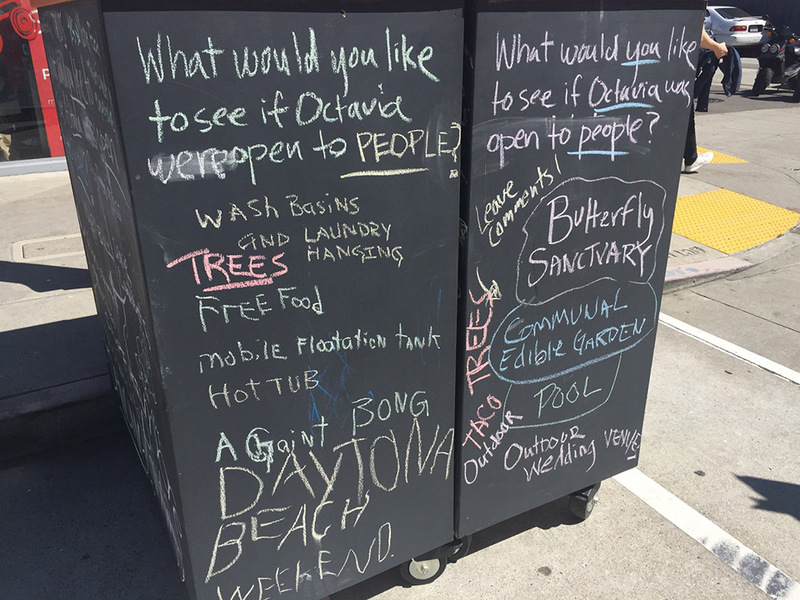 As we reported last year, SFMTA was already testing closing off the same section of Octavia Boulevard for northbound traffic only. "The closure helped to unify the Proxy event space and Patricia's Green for pedestrians," project manager Casey Hildreth told Hoodline last July, adding that if a future closure might be permanent has yet to be determined. 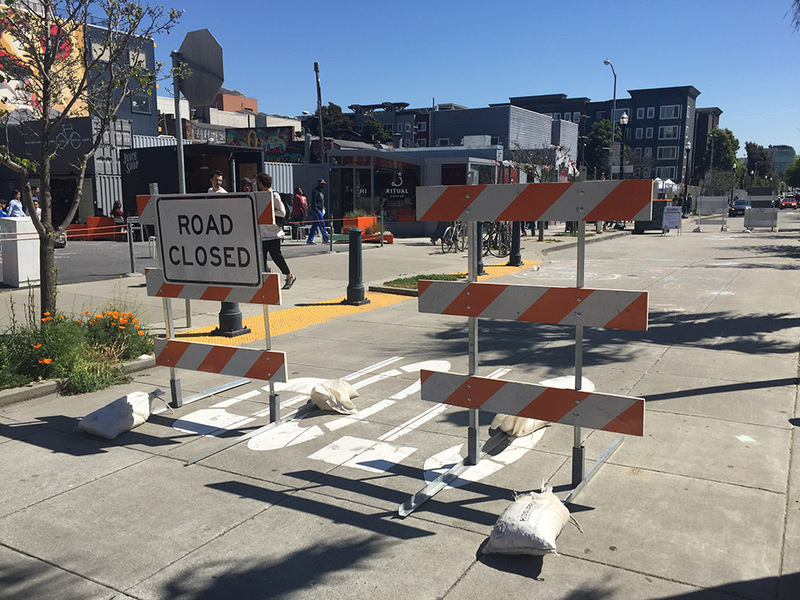 The temporary closure from Linden to Hayes streets is part of the ongoing Octavia Boulevard Enhancement Project intended to improve public space and traffic safety in Hayes Valley, the SFMTA said. 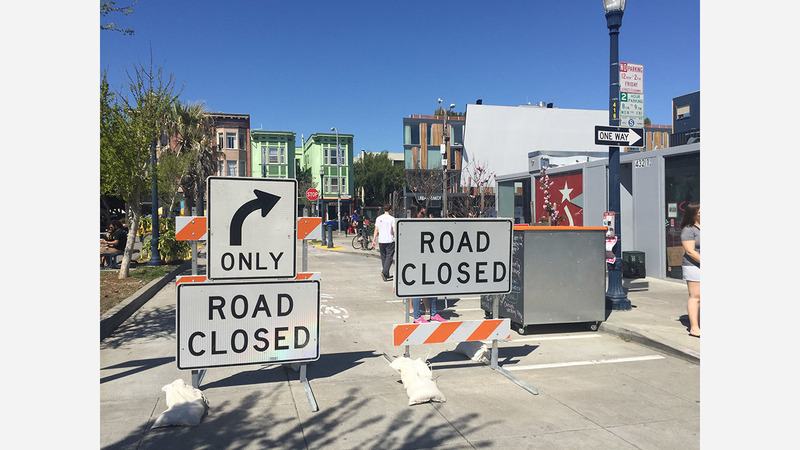 During the temporary closures, the community will be asked to come up with ideas on how best to use and activate the space, while the SFMTA will also evaluate impacts on vehicle circulation, access for emergency vehicles and how the closure impacts maintenance. In 2017, Linden Street saw 1000 cars on the first day of the closure, compared to nearly 500 the day before. Normalized closure volume on the following days was about 150% of the existing conditions, which meant 250 more vehicles daily. Laguna Street, on the other hand, saw about 1000 more cars on the first day, about 6000 cars in total. The normalized closure volume on the following days was 106% of the existing conditions, with 325 additional daily vehicles. This year, the agency said that they will be focused on evaluating traffic impacts with the larger closure area. 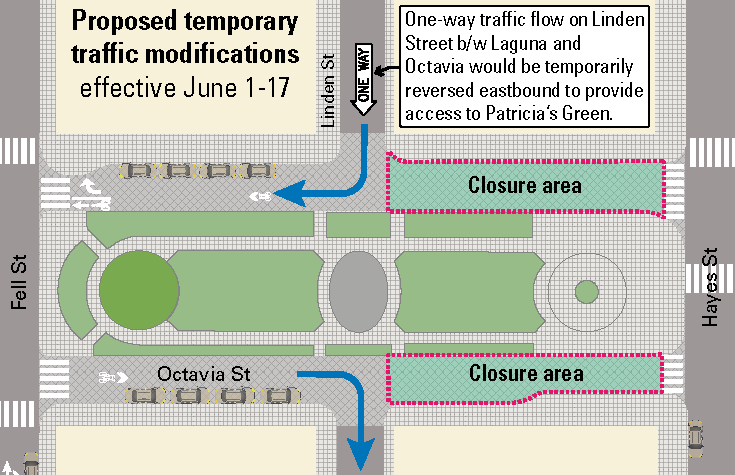 To continue to provide access to Patricia's Green, the one-way direction of the block of Linden Street from Laguna Street to Octavia Boulevard will be reversed to eastbound. Temporary signage and striping changes will direct traffic. A further point for discussion will be the management of ride-hail pick-ups. Temporary load zones on nearby side streets are expected to help facilitate passenger and commercial loading, including for ride-hail services. According to SFMTA, the goal is to keep ride-hail pick-ups away from Patricia's Green and narrow alleys like Linden Street. Before the closure, SFMTA will hold office hours in Patricia's Green on April 25th between 12pm and 1pm, as well as on the following day between 6pm and 7:30pm to invite the community to conversations with its staff.